Brands like Airbnb disrupt industries and change how consumers think about the market, according to research from Cass. In Business Model Innovation: How Iconic Business Models Emerge by PhD student Tatiana Mikhalkina and Professor Laure Cabantous explore the process of the emergence of a new company and look at the power of iconic business models, asking the question: How do innovative business models become the exemplars for a new category of firm? Formed in 2008, Airbnb is an online market platform that enables individuals to rent rooms, flats, even houses directly to travellers, and has quickly become an icon for the ‘sharing economy’. Despite there being many notable examples of innovative business models becoming iconic for their industry - eBay or McDonald's - there has been minimal study of the phenomenon. This study offers an enhanced definition of the iconic business model. In trying to make sense of the new phenomenon, the media associated Airbnb's innovative business model with existing models and market categories. Because it didn’t fall neatly into existing categories, the media developed a more elaborate understanding of its business model. Finally the media recognised Airbnb as the ground-breaking example representing a new type of organisation. 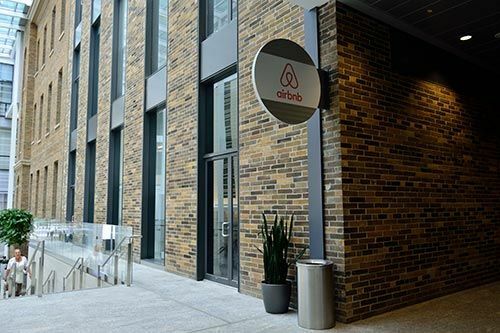 Once the media recognised Airbnb's business model as iconic, it took on a life of its own, and started to function as a ‘prototype exemplar’ – an example of a broader category of firms with similar business models.